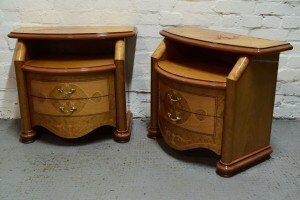 A pair of Italian solid wood bedside chests, having a table top above a deep shelf, and two drawers with brass handles. 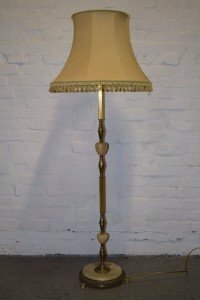 A large tall standing vintage floor lamp on a circular wooden base, detailed with brass and onyx with a cream tasseled lampshade. 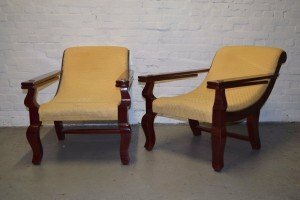 A pair of vintage mahogany fold away armchairs, upholstered in cream criss cross patterned fabric. 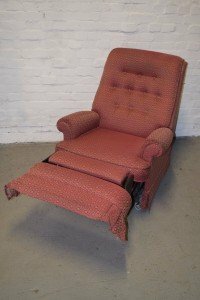 A vintage reclining high back armchair, upholstered in patterned salmon pink fabric with button back detailing. 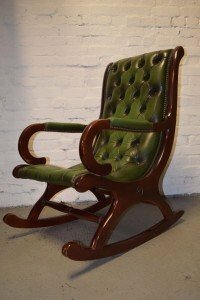 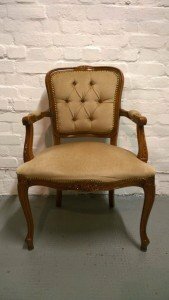 A vintage carved solid wood based hall chair, upholstered in cream velour with button back detailing. 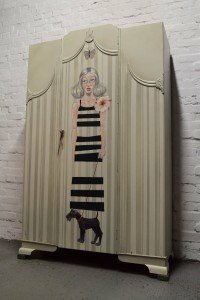 A vintage triple solid wood wardrobe, hand painted in grey and cream with a woman walking her dog mural to the centre. 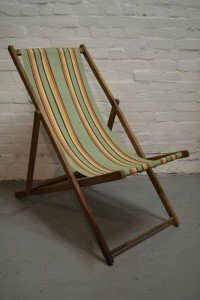 A vintage solid wood foldable deckchair, having green and yellow striped fabric seating. 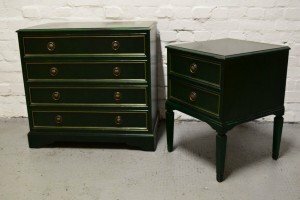 A bottle green finish solid wood four drawer chest with brass handles, together with a matching two drawer bedside table. 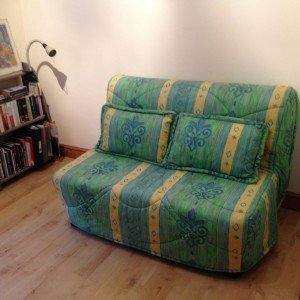 A vintage two seater sofa that folds out into a single bed, upholstered in green patterned fabric with two matching cushions. 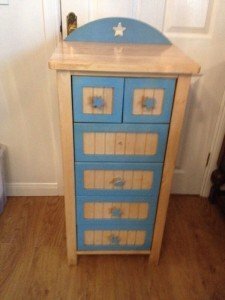 A tall standing solid wood tall boy hand painted in blue, having two small drawers above four large drawers. 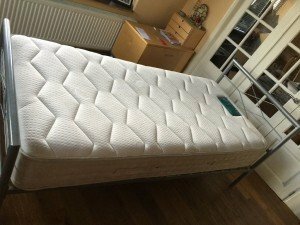 A chrome single bed frame and matching single mattress, together with a pine storage bedside chest. 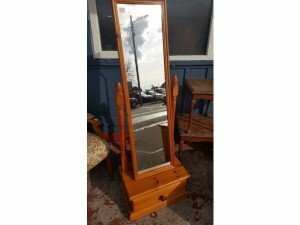 A solid pine floor standing chervil bevelled swing mirror, having one small drawer to the bottom. 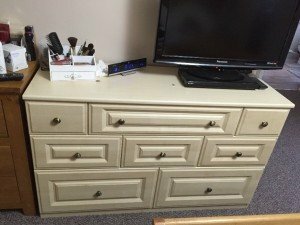 A cream solid wood eight drawer sideboard unit, together with a Panasonic 32 inch flat screen television. 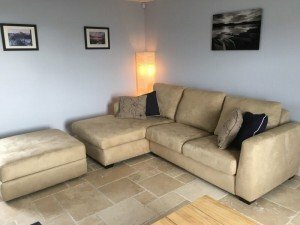 A small four seater corner sofa on black square legs, upholstered in cream suede, together with matching storage footstool. 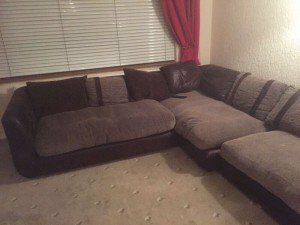 A large two piece six seater corner sofa, upholstered in chocolate brown faux leather and brown fabric. 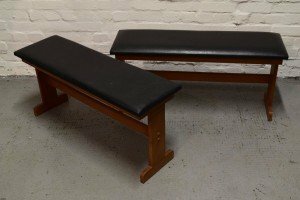 A pair of vintage mahogany dining room benches, upholstered to the top with black faux leather. 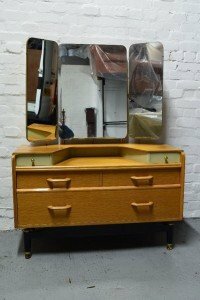 A retro solid wood G plan dresser on plinth legs, having a tri folding bevelled mirror, two slim drawers above to larger drawers. 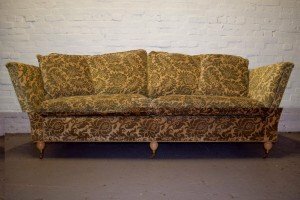 A large vintage two seater high back sofa on ballpoint legs, upholstered in damask patterned velour. 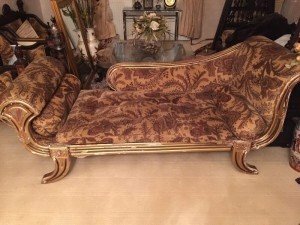 A vintage chaise lounge chair on a gold painted solid wood base, upholstered in floral damask patterned fabric.